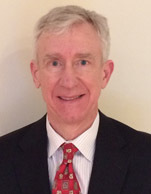 Frederick W. Boutin has served as Chief Executive Officer of TransMontaigne Partners since November of 2014. Prior to then he served as Executive Vice President and Chief Financial Officer beginning in January 2008. Mr. Boutin also managed business development and commercial contracting activities from December 2007 to July 2010 and from August 2013 to January of 2015. Mr. Boutin also served in various other capacities at TransMontaigne Inc., and its predecessors, since 1995. Prior to his affiliation with TransMontaigne Mr. Boutin was a Vice President at Associated Natural Gas Corporation, and it successor Duke Energy Field Services, and a certified public accountant with Peat Marwick. Mr. Boutin holds a B.S. in Electrical Engineering and an M.S. in Accounting from Colorado State University.